That's the one I made it, I remember my grandmother, one day she made a bag, she used to go out hunting for yam and bush tuckers, she used to carry them in that bag. 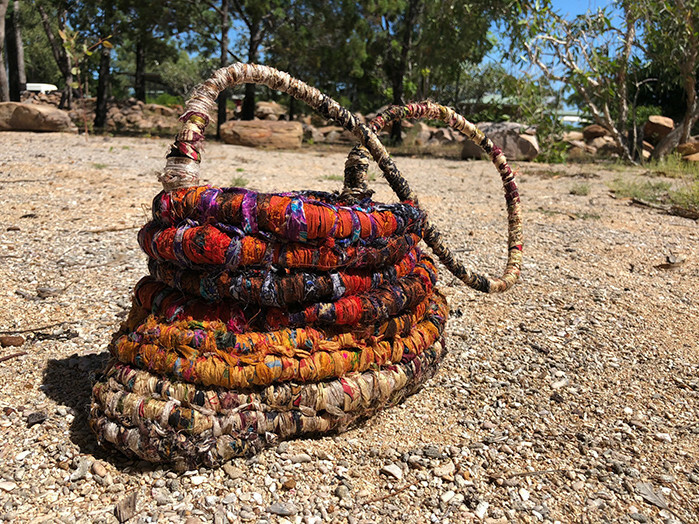 That bag was made old ways from pandanus strings, my bag is made from that ghost net, those nets kill our bush tucker, our turtles and fish and crab, the rangers go around and pick up the net and give it to us. This bag carries the story. Annabell Amagula is a senior Anindilyakwa Country artist and is a master dyer, weaver and print maker. Annabell is also the project manager of the Anindilyakwa Arts Centre, a thriving hub of creativity located on Groote Eylandt in the Gulf of Carpentaria in the Northern Territory, supporting the artistic and community development of the art centre. She believes passionately in keeping culture alive through art and embracing new mediums to express Anindilyakwa culture. Annabell grew up in the Angurugu community with her father and mother and was taught weaving, dying and painting from her Elders. When she was 6 years old, she would sit and watch her grandmother make bush bags from pandanus trees. 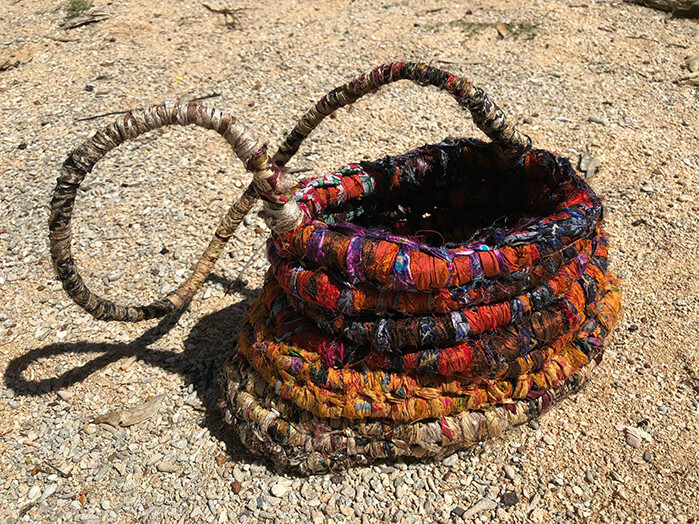 At the age of 10 years old, she started making baskets. Annabell remembers being 12 years old and her great, great grandmother would take her out to collect the colours from pandanus. 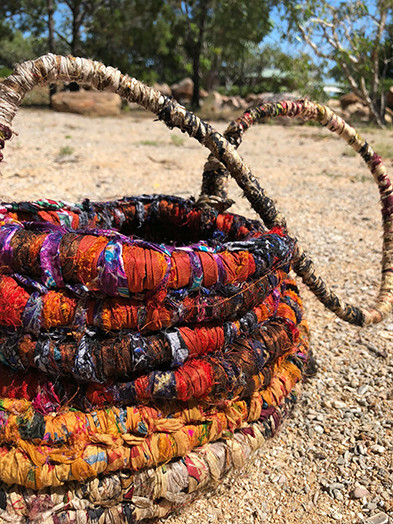 Annabell’s work are exhibited at the Anindilyakwa Art Gallery and in 2017 Annabell exhibited her ghost net baskets at Aboriginal Bush Traders in Darwin. In 2018, her work was selected and included in Intertwined, a specially curated fashion show as part of the 2018 Commonwealth Games Festival. Additionally, in 2018 Annabell and fellow Anindilyakawa Artist Bernadette Watt were selected as finalists in the 35th Telstra National Aboriginal and Torres Strait Islander Art Awards.